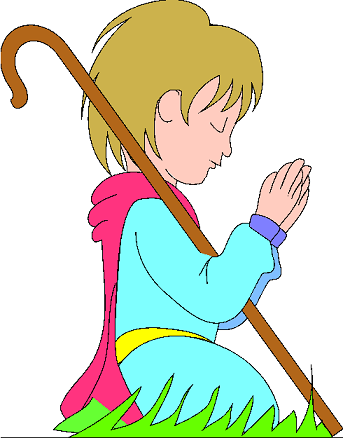 Shepherds are an important part of the Nativity Story as told in the Gospels. According to the Bible, on the night of Jesus' birth, shepherds were tending their flocks just outside the town of Bethlehem. They were visited by an angel. The angel told the shepherds that a child was born who would save the world, so the shepherds went to see the Christ child. 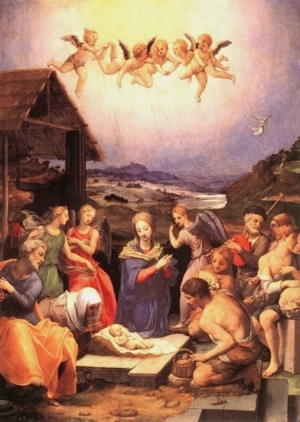 Because of their appearance in the Nativity Story, shepherds usually feature in most Nativity Plays, and are also the subject of Christmas Carols such as "While Shepherds Watched".